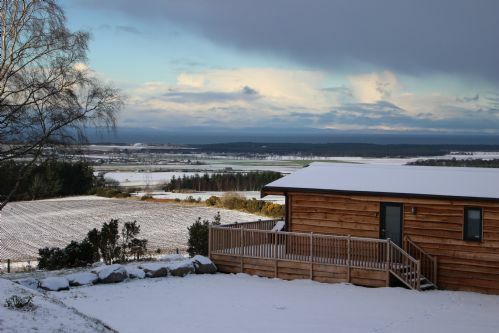 Burgie self-catering Woodland Lodges are the perfect destination for visitors of all ages, whether looking for pure relaxation or activity-packed holidays in Scotland. 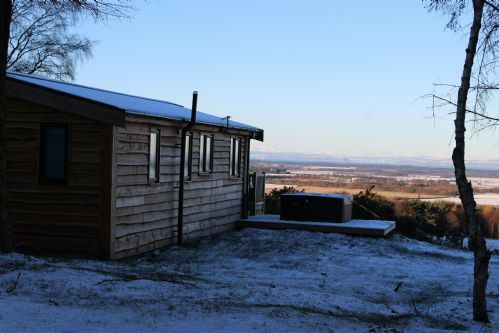 Come and stay in this stylish and comfortable woodland lodge situated within peaceful rural setting of Burgie Estate. 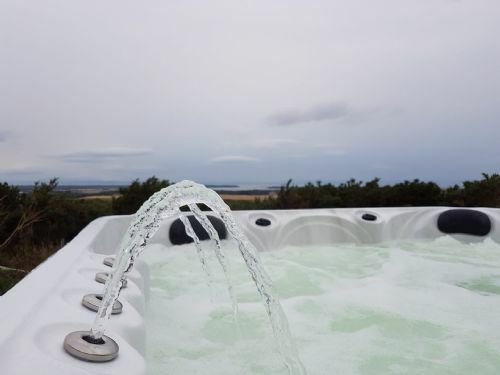 With Inverness just 30 minutes away Ben Wyvis Woodland Lodge is the perfect place for your Scottish holiday with families, friends or couples alike, whether it’s for fishing, golfing, cycling to list a few of the sporting activities on offer in the area or just relaxing in one of the hot tub with a glass of fizz watching the sunset over the hills. 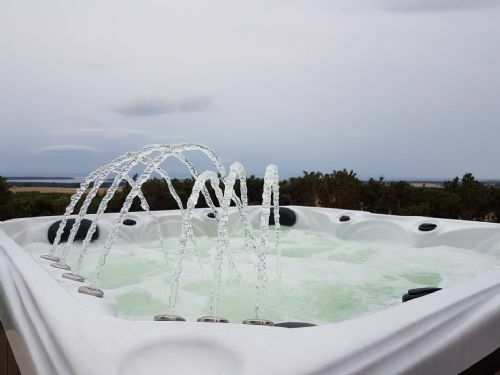 This 3 bedroom lodge has an open plan kitchen and living rooms area which opens out onto a private veranda where there is furniture and the hot tub. We enjoyed a 3 night stay at ben Wyvis. It’s peaceful location was lovely and there are lots of lovely beaches close by for dog walks. Hot tub was a lovely extra. Very private and just what we needed. 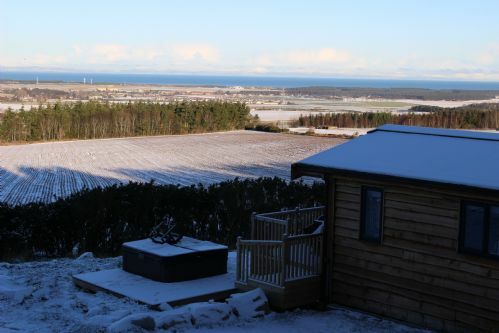 My friend and I had a three night stay here recently and we were delighted with the lodge. There was no stress involved in arriving at a certain time, the key is kept in a lockbox so you can arrive at any time. The lodge is IMMACULATE!! Furniture is very new and good quality, plenty of cutlery, plates, glasses, pots etc for cooking. Bed linen and towels were provided. The best part was the hot tub! On our second night, the sky was so clear so we could sit in the tub under the stars. Bliss! 3. Tea/coffee/sugar - we arrived before we went to the supermarket, which was good since we didn’t realise that we would have to buy this beforehand. 4. Spare toilet roll! - we were very close to running out and couldn’t find any spare rolls if there were some! These are certainly not criticisms as we would happily come back, just suggestions for improvements. We enjoyed a lovely weekend at Ben Wyvis. It is an absolutely beautiful spot and the views are spectacular. A taxi driver told us about a local viewing spot for the Northern Lights and so we were on Aurora watch much to my husband's excitement! The lodge was great for us, a base while we attended a family celebration. It was comfortable and warm. We thoroughly enjoyed our stay at Ben Wyvis Lodge. 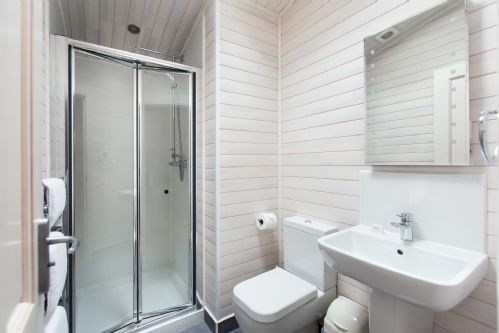 The lodge itself is fairly new and was cosy with comfortable furniture and is well equipped, although you’d need more towels if using the hot tub. 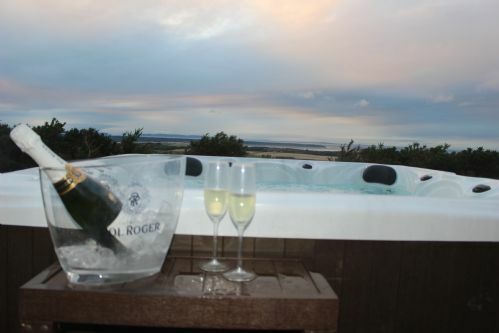 The outdoor area had a table and chairs on the decking area with the hot tub accessed down a few steps - just amazing! Access to the lodge is via a dirt track/farm road which is reasonably signposted. 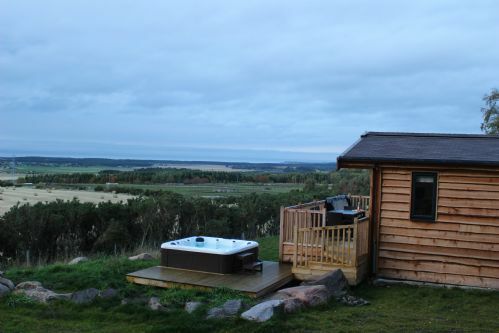 The picture of the lodge doesn’t do it justice in the advert, should show actual photo especially from the decking area. Would definitely return to this lodge. Thank you to Burgie Lodges for a lovely weekend. The lodge is very nice and the location wonderful. 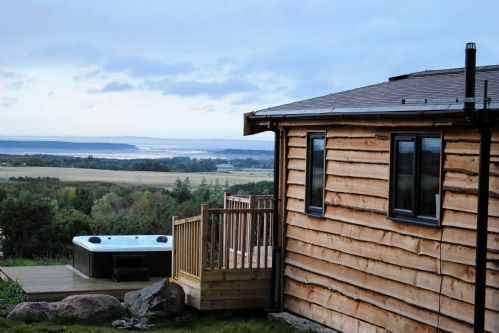 The views across Findhorn Bay are breath taking, and if you want to get away from it all this THE place. It's a little tricky to find even with the map, so I would suggest arriving in the daylight to be on the safe side. One or two problems with the Hot Tub, but when it is working it is tremendous. Think the team are working on getting it permanently fixed or replaced. Thank you, it was great. Beautiful location, stunning views. Hot tub is brilliant. Very difficult to find. No directions available and no signs. No communication during stay - key left in key box. Bring all basics as no tea, coffee, washing up liquid etc in lodge.